Great, you’re ready to subscribe to SwipedOn! Simply follow the below steps to activate your subscription. Before you get started below ensure you've got your credit card on hand, you'll need this to activate your SwipedOn subscription. 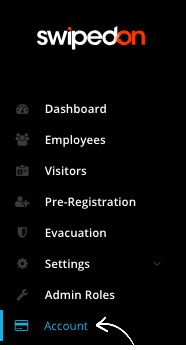 Navigate to the 'Account' tab on the left side of the web dashboard. 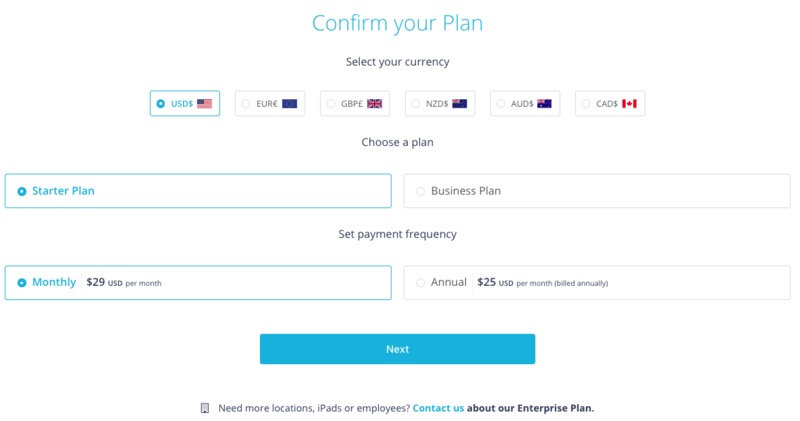 Select the currency you would like to be billed in. Click on the 'Get Started' button below the plan of your choice. *If you are unsure of which subscription will suit best, please get in touch with your SwipedOn account manager, or email us at sales@swipedon.com. Confirm the plan you would like to subscribe to. Select the payment frequency, either Monthly or Annual. Click on the 'Next' button at the end of the page. Enter your billing contact and card details. Click on the 'Pay' button that displays the total amount you will be billed. Congrats! You have now successfully subscribed to SwipedOn! As soon as you’ve subscribed, our customer success team will reach out to assist with any questions you may have, and training you or your team may require. If you have any questions regarding your SwipedOn subscription, please get in touch with your SwipedOn account manager, or email us at sales@swipedon.com. If you'd like to deploy SwipedOn in more than one location we'll need to configure pricing for your enterprise plan. Please contact your account manager or get in touch with our support team via the live chat bubble at the bottom right-hand-side of the screen.